After a long string of windless Sundays and some low temperatures thrown in, we have sunshine, mild temperature and WIND! 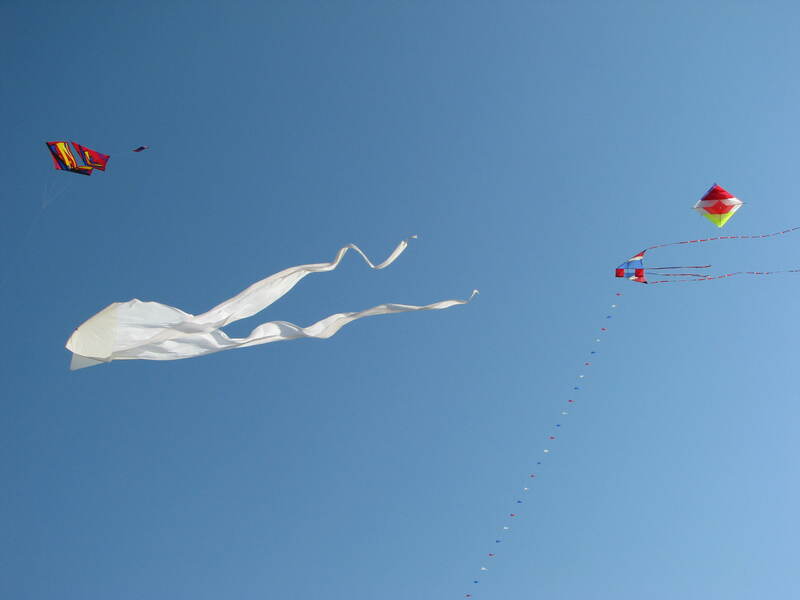 We joined four other kite fliers to celebrate the gorgeous day. 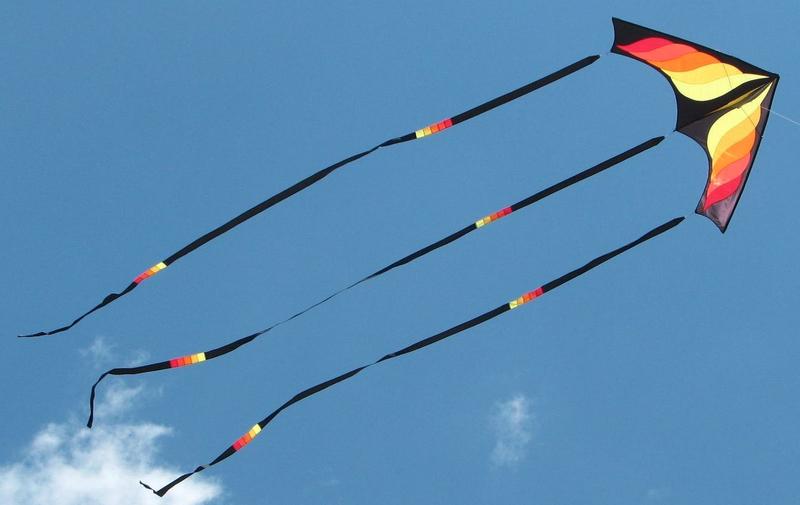 I decided that rather than haul everything out to the field (a job which seems like it takes a small moving van) I would selection a few kites to fly and leave the rest home. All the while hoping I make the right choice and have the right kites for the right wind. I put in my bag some kites that hadn’t seen the sky in a year or two. They definitely needed the air time. I first put up my twin tail dragon. The last time it flew was about a year ago and the wind was so strong I didn’t get the tails wound up neatly, they were just stuffed in the bag. So my initial job was to untangle and untie the tails. 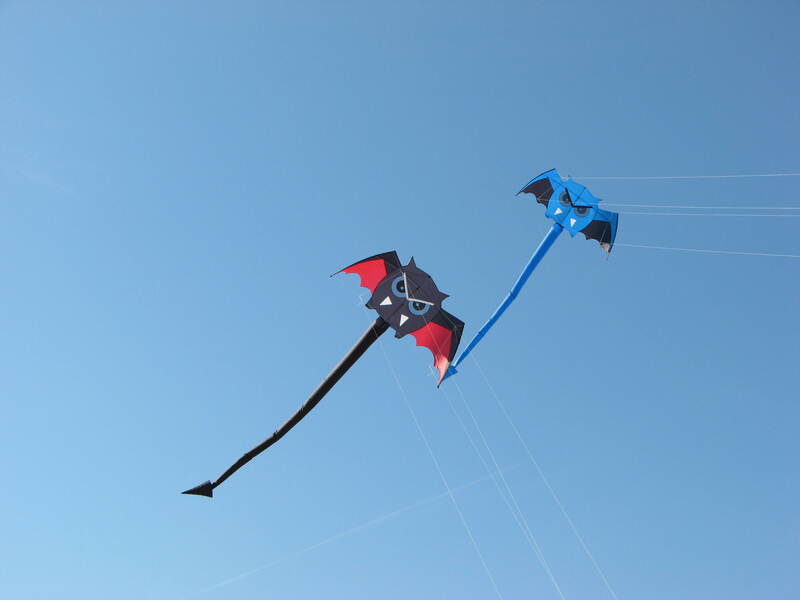 Lesson learned – no matter what, roll up your tails before packing away a dragon kite. Once in the air, it flew beautifully. 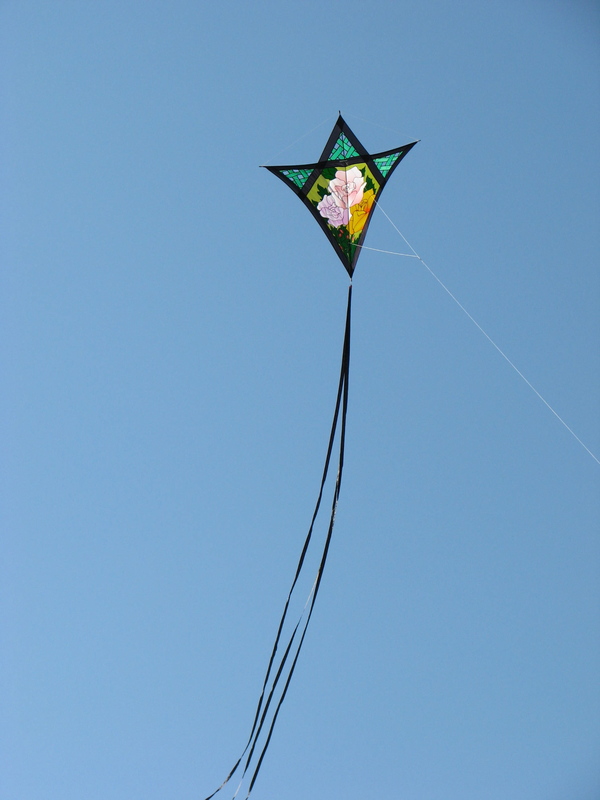 The next kite I put up was my mesh diamond with roses. This kite was given to me a couple of years ago as an anniversary present. My husband gave me roses that will never wilt. One of which is a yellow rose, my favorite. It really is a shame I don’t fly this one more often. It is easy to assemble and flies great. It just hangs in the air for all to see. 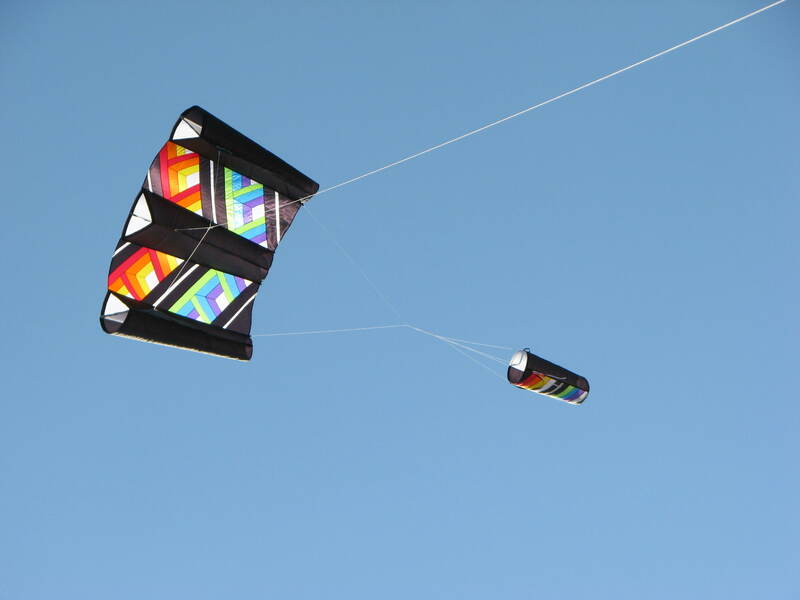 Must mention that this kite is no longer available. Maybe that’s why I like it. I should try to remember and fly this one on each wedding anniversary. Must make a note on my iPad. My husband flew one of his latest acquisitions, a Premier powersled. He got the largest powersled with the optical illusion/quilted pattern in rainbow colors. The powersled is a real “puller”. We found that out as we watched the large kite anchor being pulled across the sand. And there was a lot of sand already in the anchor. That’s one reason we really like sand bags and sand anchors for our single line kites. they may get dragged a bit but they don’t fly away or run the risk of injuring a passerby. We got out the shovel and added sand and the kite stayed put for the rest of the morning. The rest of the sky had color from several of our friends kites. Including one unconventional training of a Sky Flake and a Firefly 2. 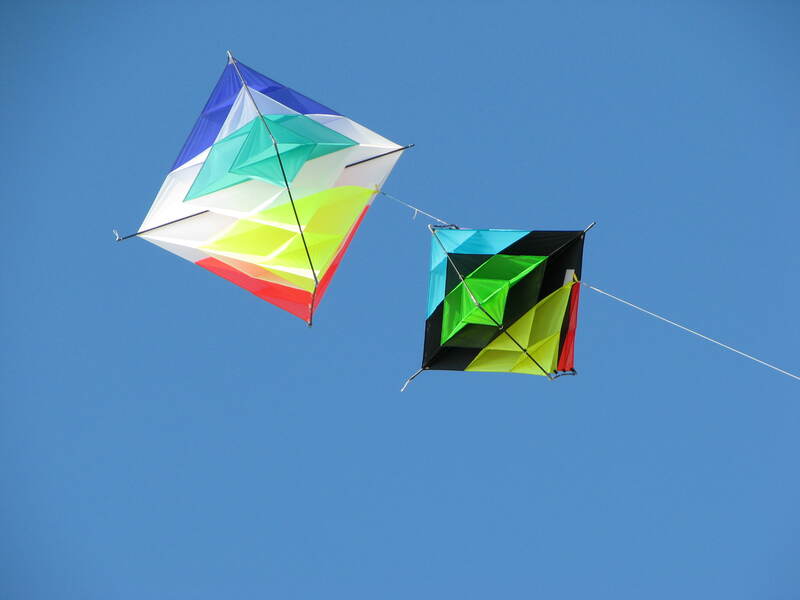 Both of these kites are made at Kites Unlimited in Atlantic Beach, NC. Both will hang in the air like they were pinned there. But they will dance and bob around if you give their lines a tug now and then. Neither of them like to fall to the ground and will rise before hitting the ground when the line is pulled and released. It makes a good show for spectators as they think the kite is falling and it magically rises up again. I’m not sure if they ever had been trained together before but it worked pretty well and they both behaved themselves. At last my Vamp Devil did not fly alone. Usually I’m the only one flying this quad line kite. 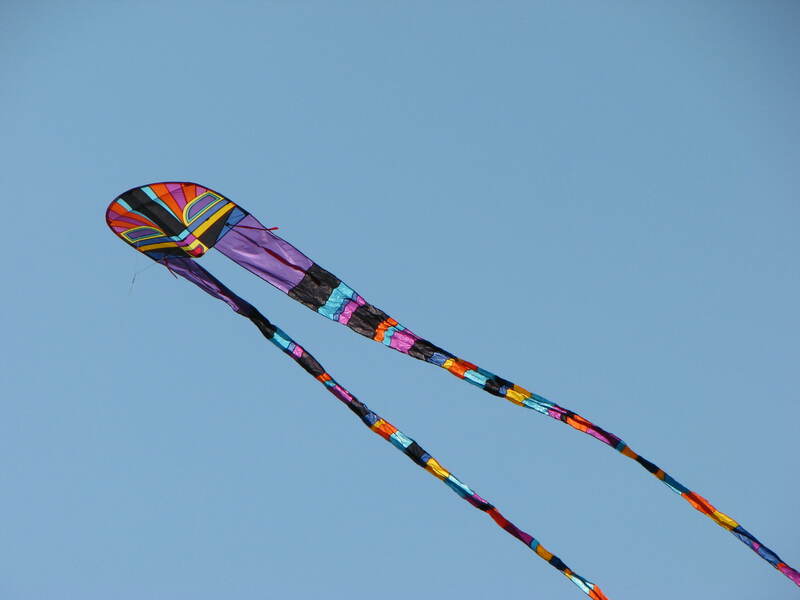 And, quite often, I think I’m the only one who really likes this kite. But on this day, another Vamp Devil was in the sky. It was the one from the kite shop, Kites Unlimited, and the owner had it out to give another quad one flier a chance to try it out. Luckily, I had mine with me and we flew together for a short time. Also, luckily, I had the camera and a photo assistant with me so we could get photos of the two. It was fun. Next time, we will have to have lines the same length so we can interact more. That means I will have to untangle my longer lines which right now look more like a bird’s nest than a set of kite lines. Ugh!